The newly appointed State Board of Elections and Ethics Enforcement has scheduled its first meeting this Wednesday at 8 a.m. in Raleigh. The following are the Republicans on the board, which, along with the four Democrats, will be agreeing (supposedly) on the names of two unaffiliated voters to forward to Governor Cooper. One of them will be appointed as the ninth member of the board, presumably as the tie-breaker. ▪ Ken Raymond, chairman of the Forsyth County Board of Elections. Raymond gained his seat on the Forsyth BOE immediately after the election of Governor McCrory in 2013. Very early in his tenure, he made it clear that there would be no more early voting site on the campus of Winston-Salem State University (WSSU), and he floated the idea that sheriff's deputies ought to stand guard at polling places, maybe particularly those in majority black neighborhoods. He said he would recommend prosecution of any teacher or college professor who offered extra credit if students voted, particularly professors at WSSU. Soon after his swearing in, Raymond also went to work running off the hold-over elections director for Forsyth who was ultimately fired early in 2014. 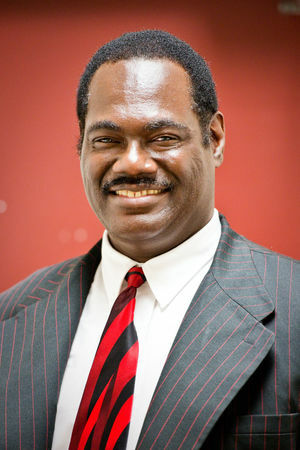 Raymond graduated from WSSU in 1987 with a degree in English and a minor in mass communications. He retired in April of 2017 after serving as a Winston-Salem Police Department 911 operator and dispatcher for 28 years. In July of 2017, and at the instigation of Republican state Senator Joyce Krawiec, Raymond was appointed to the Board of Trustees of WSSU, not without vocal protest from other trustees and alumni. ▪ John ("Jay") Randolph Hemphill, a Raleigh attorney and partner in Hemphill Gelder and Monroe. Jay Hemphill is a 2001 graduate of Wake Forest University School of Law and the University of North Carolina at Chapel Hill (1998). Before entering the private practice of law, he served as a Captain in the United States Air Force’s JAG Corps at Edwards Air Force Base in California and at Pope Air Force Base at Fort Bragg. He specializes in estate planning, probate and estate administration, tax law, and general civil litigation. 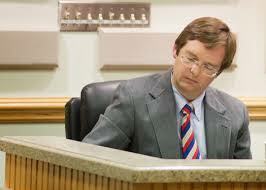 ▪ John Malachi Lewis, a Cabarrus County lawyer who serves as deputy counsel for the state Republican Party. Eggers revealed on September 17, 2013, as the ghost-writer of everything going forward under the new Republican majority on the Watauga County Board of Elections, including emails supposedly written by his brother Luke Eggers, new chair of the Watauga BOE, to the SBOE. September 2014, timeline of Four Eggers involvement in voter suppression in Watauga, including his collusion with SBOE member Mark Foley. Four Eggers ejected from ASU Early Voting site, March 2016. For more, use the search engine, above left.